Anyone who works in social media knows all too well that the landscape is always changing. Whether it’s new platforms cropping up and gaining traction or declining organic reach forcing brands to allocate more ad spend on Instagram and Facebook, there are many factors that keep the social media scene in a constant state of flux. For brands and marketers, that means you need to be constantly on your toes to keep up with the latest trends and shifts – it’s the only way to continue engaging your target audience and generating ROI from social media. What worked yesterday might not work tomorrow, so the only way to survive is to continuously adapt. With new technologies like AI becoming more widespread, and consumer demands for always-accessible, omni-channel customer service growing, there’s a whole new crop of trends to stay ahead of these days – beyond simply knowing what social networks your audience is using and what times are best to post for maximum engagement. Read on to learn about the biggest trends in social media you should be aware of in 2019. Jeff Neal is the founder of The Critter Depot. 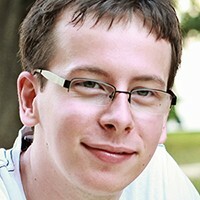 Balazs is responsible for content publishing at Authority Hacker. 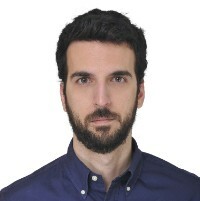 His primary responsibilities include maintaining the highest standards of content quality and the efficient implementation of projects throughout the numerous sites managed by the company. “We’ve been monitoring and utilizing social media throughout 2018 and we have noticed a few trends that are beginning to emerge. “Although Facebook has seen its fair share of controversy, retargeting is still a very successful way of reaching out to potential customers. Expect to see more and more companies utilize this method in 2019, as it’s still the cheapest from of Facebook advertising and it’s incredibly efficient. 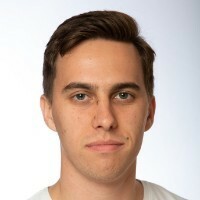 Jakub Kliszczak is a Junior Marketing Specialist at CrazyCall, a cloud-based calling application that helps sales teams and call centers do their job effortlessly. “In my opinion, the biggest trend in social media will be a switch to video/audio content. “Of course, nowadays, the video is quite big and thing like stories, live streams, etc. are taking off but I believe 2019 will be a year of complete video takeover. Thus every marketer should include some sort of video and audio content in their marketing strategy. “Things like Facebook Live and Facebook/Instagram Stories are must for any brand that wants to stay online with their audience. 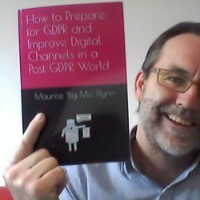 Maurice ‘Big Mo’ Flynn has spent 30 years in marketing, tech and data science. He has trained hundreds of companies on social media best practice. 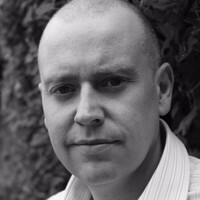 Sam is the owner of 2B Digital – a personal digital marketing consultancy in the UK. “Watch times are up, engagement is even higher and when it comes to organic visibility on a variety of social networks, video is the king. “I’d say the common misconception is that you have to produce extremely corporate, Hollywood-style video to succeed. Nothing could be further from the truth. A quick 1-minute video taken on your phone is perfect for viewing on social media. Add some subtitles to ensure that people can watch the video without sound and you’re on to a winner! “Influencers seem to permeate the social media marketing landscape. Their perceived value has skyrocketed over the past couple of years and subsequently so did their fees. In contrast, the plethora of brand content originating from influencers now seems to challenge their credibility. 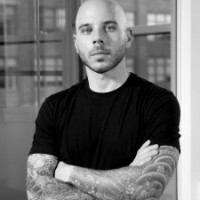 John has over 15 years of experience in the digital space, working with brands such as HBO, Google, Shutterstock & Kith. 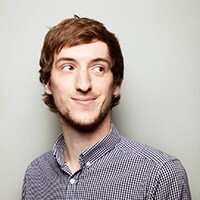 Today, John is the CEO of Avex, a digital agency in NYC. “Live Video: Every year, video on social media grows exponentially. In 2019 we see live video becoming more popular. 80% of consumers would rather watch live video from a brand than read a blog. From Instagram to Facebook and other channels such as LinkedIn. Live videos from both brands, consultants and influencers will be very popular in 2019. “Personalization: People are now seeing through the noise and irrelevant content on social media. Personalization, such as content targeted to a consumer’s lifestyle, wants and needs, will become necessary for brands. 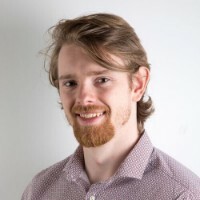 Damien Buxton is the Director of Midas Creative, working with businesses to increase online exposure and revenue streams through strategy and consumer trend forecasting. Jordan Harling is the Chief Digital Strategist for Blinds Direct. “The biggest trend to watch is Instagram becoming an ecommerce monolith. We all know Instagram as a thriving social network, but the social network made its intentions to become an ecommerce hub clear in the past year when it started to allow business accounts to tag products in their images. These tags are more than just labels though; they allow you to link your images directly to products on site, allowing users to buy from you without having to leave the Instagram app. 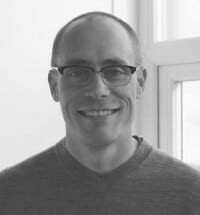 Adam Riemer is a marketing strategist who focuses on ROI driven digital marketing campaigns. He has been working in SEO, affiliate and social for more than 15 years. “One big trend for marketers with regards to social media is going to be the shakeup on Instagram PODS. They picked up in popularity substantially in 2018 and because history repeats itself, those using them may find themselves getting banned from Instagram by accident (or on purpose) as they could be mistaken as spammers or bots. Their visibility will diminish and the brands that hire and use PODS or who work with influencers that use them to boost exposure may see a strong decrease in exposure. David is a digital marketer and ‘web guy’ with over a decade under his belt helping SMEs & individuals to use technology not only to survive but to thrive in the new digital ecosystem. He also documents his experiments, failures and interesting tools at Mazepress. He’s a total nerd who started programming at the age of 13, but if truth be told, much prefers the arts. David has also been an advocate for cryptocurrencies, decentralization and blockchain technology. “In 2019, expect to see reduced organic reach continue on the majority of social platforms. As the various social networks like Facebook, Instagram, and Twitter fight to increase profitability, a trend that has been happening gradually over previous years will continue to do so in diminishing the organic reach potential of your posts. “These networks will do so to push people to use their native ad platforms to generate attention and traffic to off-platform web properties like your own websites and blogs. “While this isn’t a new trend, it will continue to become a pain point for social marketers and content producers looking to leverage quick wins from their social followings, but all hope is not lost. Native ads on social media platforms are an important facet of the social media ecosystem and learning how to use such tools can give you the edge over your competition. Spencer X Smith is a speaker, instructor in social media at the University of Wisconsin & Rutgers University, and founder of social media marketing agency AmpliPhi. “The top social media trend for marketers in 2019? Using LinkedIn for company branding. LinkedIn gives us the ability to target employees of particular employers regardless of company size, and show them specific content based on their interests. “For example, if a fire suppression company wants to grow from, ‘I have no idea who you are’ to, ‘I’ve heard of your company,’ in the mind of decision makers at Boeing, we can make content specifically targeting those at Boeing who may be the most likely to buy the fire suppression company’s products. We can use targeting options that are not just company-specific, but also job title-specific as well. That way, we can ensure we’re only paying for the right people to see our sponsored content. 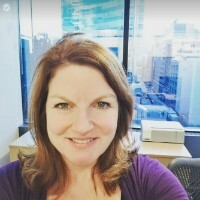 Sherrilynne Starkie is an award-winning digital communications consultant with more than 20 years’ agency experience in Canada, Britain and the USA. 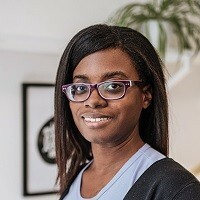 She has an international reputation as a social media innovator, is a prolific blogger and podcaster and is an active IABC volunteer. 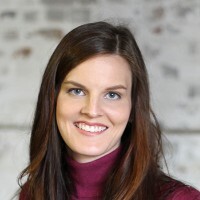 Keri Lindenmuth is the marketing manager at KDG. For over 17 years, KDG has been helping businesses improve their processes, their customer experience, and their growth. “In 2019, we will continue to see social media rely more on visual content than textual content. Infographics, videos, and other imagery will be popular. Social media is meant for scrolling, which is why visual aids are so popular. They don’t require more than a second or two of a user’s attention. However, if you want your post to be effective, you have to make the user stop mid-scroll. You have to capture their attention. “Live features will also continue to gain popularity. Be on the lookout for live video content. Businesses should look at ways they can implement live webinars or interviews in their social campaigns. 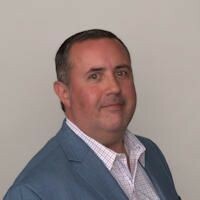 Brian Winum is the co-founder and Digital Marketing Director of MAXPlaces Marketing, LLC, a full-service digital marketing agency with offices in New York City and Long Island. 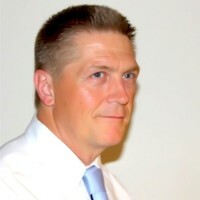 David Erickson is the principal of e-Strategy Media and co-host of the Beyond Social Media Show podcast. “I think the re-emergence of dark social is something marketers will need to take into account for 2019. “Social sharing via channels that are not easily trackable is a dynamic that has always been present but largely overlooked because of the ease with which the other channels are measured. 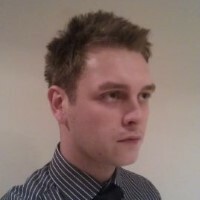 Gregory Golinski is the Head of Digital Marketing for YourParkingSpace.co.uk. “Nano influencers will become even more important for your social media strategy in 2019. These nano influencers aren’t superstars. They’re more than happy to work with businesses to get that extra exposure, even for free. You don’t need to beg them. 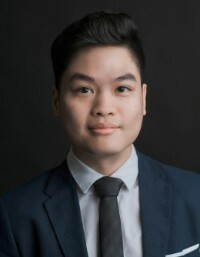 Hung Nguyen is the Marketing Manager at Smallpdf. “As organic reach and engagement on social media are stagnant and ads being on the rise, those that cannot afford to allocate financial resources on advertising will look into alternative social media channels to promote their business. Allisa Lindo is the growth marketing manager for a company called Brandox. She’s worked in digital marketing within the tech industry for over three years. She previously worked for an influencer marketing agency. “2018 saw a lot of controversies pop up for major social media stars, especially on YouTube. While some of these stars were able to recover, the controversies highlight a 2018 trend of major stars becoming Kryptonite for socially conscious brands. “Besides the potential for toxic controversy, there’s plenty of evidence to show that microinfluencer led campaigns are far more effective and have better ROI. “Effective influencer marketing is based on authentic relationships between influencers and their audience. Smaller influencers have more one-on-one interactions with their followers and that makes them more useful partners to marketers. It doesn’t hurt that micro influencers are much cheaper to work with. “Live-streaming is definitely in and sticking around for the new year. Consumers like to get an insider’s view when it comes to companies they are purchasing from. So whether that means getting to know some of the staff, seeing how products are made or watching a DIY video using some of the products, get yourself a creative team which can deliver interesting content to the public. 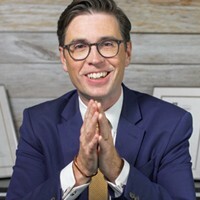 Richard Janes is an Emmy-winning personal brand coach and founder of Hollywood digital agency Fanology whose clients range from Toyota all the way through to America’s toughest trainer Jillian Michaels. “Multi-Post Narratives. As social platforms continue to tighten their organic reach for brands, we need to give consumers a reason to keep with engaging over the long term. This has always been the case with general social media – following the lives of our friends as they go through the year and experience ups and downs – but brands have been dancing to a different beat. That has to change for 2019. No longer can we look at the value of a single post as a stand-alone piece of content, but as platforms give more and more weight to friends sharing their life journey, so too must brands. The key lies in multi-post narratives so that users look forward to what is next, poised to engage with the content for the next part of the journey. Ultimately, this is the transition from an advertiser to a media house that a small handful of highly established brands have been making over the last few years, and this trend is expected to fully take hold in 2019. Every company has a story to tell that can build affinity and engender loyalty, we just have to focus a little more on unlocking that story and stop looking to social media platforms as a place for ‘single post’ calls to action. “Embracing The Core Fanbase. Marketers spend a lot of energy and money on negative sentiment monitoring. But one of a brand’s most underutilized assets is its core fanbase. It is these rapid fans that have a fantastic ability to spread the message and empower the core fanbase to market a brands story. Nurturing a consumer down the path to become a superfan costs more money than acquiring a traditional sale, but the lifetime value of a superfan both in terms of their own spend and their influence to attract others is well worth the investment. This starts with listening for fan stories on social media and then taking action around those stories to celebrate the fan in a way that they least expect. The stronger the core fanbase, the better a brand can weather price fluctuations, competitor product launches, and negative sentiment. Car brands are leading the way with this but expect other industries to catch up as social media advertising costs rise and we have to unlock greater value from each consumer. Steve Pritchard is a Digital Marketing Consultant for Ben Sherman, a men’s fashion retailer. “Stories have become increasingly popular across different social media platforms in 2018, and will certainly take 2019 by storm, eventually eradicating the need for content-filled-tweets. 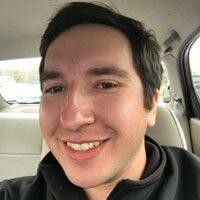 Patrick Delehanty is the Marketing Manager with Marcel Digital out of Chicago, IL. They specialize in website optimization that focuses on utilizing multiple digital marketing efforts, including website optimization, SEO, branding, marketing, design, development, and more, to create a holistic marketing approach customized to each client. They’re also a Google Partner, Hotjar Founding Member, and ConversionXL Certified! Danielle K Roberts is the co-founder of Boomer Benefits, a licensed insurance agency that specializes in Medicare-related insurance products. Her agency has a social media following of over 70,000 baby boomers and seniors. 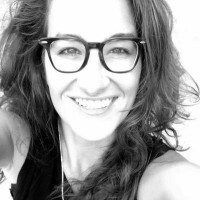 Kara Strang is a digital marketing professional and account executive. She is currently the Senior Account Manager at NoHype Digital Inc., a marketing agency that uses data and sophisticated marketing technologies to unlock vast markets for real estate agents. 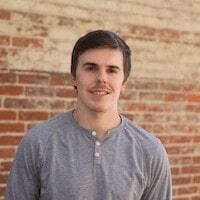 Todd is a digital marketing executive having worked in various industries, start-ups, and remote positions. Currently, Todd is the Head of Marketing at EveryoneSocial. He writes in his spare time about marketing, tech, music on various publications and about personal finance on Invested Wallet. You can also find him adventuring outdoors and hiking. “In 2019, there is one big strategy for social media that marketers need to know: employee advocacy. I’ve avoided the word trend because although it may be for the new year, it’s something that will stick around long beyond the new year and has been growing in recent years. “Essentially, employee advocacy is encouraging your workforce to be engaged in social media marketing on behalf of the brand. Companies provide blog content, third-party content, industry news, company culture content, etc. for employees to share with their networks. This helps spread brand awareness, drive more social engagement, increase web traffic, increase leads, and much more. “Social media can no longer be blocked or ignored by employers and many employees are already talking about their company online. Companies are starting to embrace that social media is not going anywhere, realize that its where customers and buyers are, and that people trust people. Another big reason is social media algorithm updates continue to put preference on the individual, instead of brands and publishers. This greatly affected many brands, but employee advocacy can help ensure content is still seen and awareness continued. “Yet, for this strategy and program to be successful, marketers need to be smart in their approach. This includes creating a plan, how to roll it out to employees, what social policies are needed, training sessions to ensure employees who are interested aren’t making mistakes, and to have the right technology in place to make this easier to organize and show ROI. Some well-known companies have already been doing this and seen a lot of success like Dell, Adobe, Starbucks, T-Mobile, Indeed, and Coupa, to name a few. 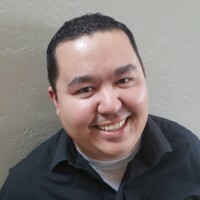 Jeff Rizzo is the Founder & CEO of The Slumber Yard, a digital media company based in Reno, NV. 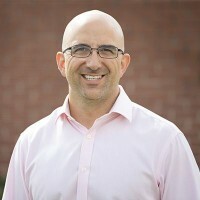 Jeff has a bachelor’s degree in Business Administration from the Haas School of Business at the University of California, Berkeley where he graduated with high honors. “The biggest social media trend for marketers in 2019 will surround in-app messaging. Services such as Facebook Messenger, Instagram, and Twitter will increasingly serve as an outlet for brands to communicate directly with consumers. “It won’t be a team of customer service agents that handle the messaging, however, the interaction will be largely handled by social chatbots. I’ve seen some estimates that Facebook Messenger already has over 100,000 chatbots in service that manage product advice, take orders, and more. 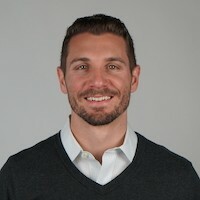 Kyle Austin is the founder and managing partner at Beantown Media Ventures (BMV), a PR, content and digital marketing agency that has helped hundreds of venture-backed startups drive inbound leads and build valuations. 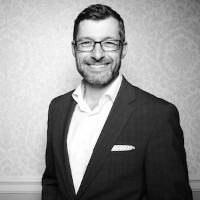 Throughout his career, he’s created, executed and managed successful marketing communications campaigns for startups to Fortune 500 companies, and has been a member of teams honored with some of the industry’s most prestigious awards including a Silver Anvil from the PRSA and the 2008 IPRA/United Nations Grand Award. 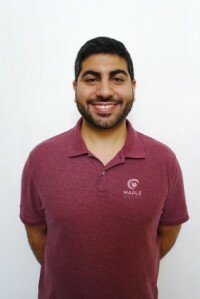 He has an MBA from Babson College and is a mentor at MassChallenge, one of the largest non-profit startup incubators. “There are two important 2019 predicted trends to watch. “1. (Social) Publicity Stunts Are Back: Remember publicity stunts? Over the last decade, they have become a smaller and smaller aspect of PR toolboxes as the industry moved to digital from analog. However, new socially-centered publicity stunts will continue to give the older practice a renaissance in 2019. As a Trump-dominated, 86,400-second news cycle makes it increasingly difficult for any brand to get their 15-seconds of fame, social stunts are becoming an attractive option for sticking out. What makes social stunts work? Making fun of the social status quo. Two examples in 2019 included the influencer-only go90 stunt and the recent Payless Shoes ‘Palessi’ stunt. Unlike stunts of the past that were often pulled off to garner media attention directly, these stunts are aimed at bubbling up on social media to create a groundswell of awareness that ultimately leads to media coverage. Very 2019. “2. PR Tactics Will Be Splintered by Generational Media Consumption Differences in 2019: When it comes to news and information, no generation has consumed media socially like 18-29-year-olds do today. In fact, the differences between how generations are consuming media have never been greater – and that will continue to alter approaches to PR in 2019. According to PEW, young millennials and Generation Z aged 18-29 consume 36% of their news via social media. This came out well above other mediums for news consumption among this generation: News websites (27%), TV (16%), Radio (13%) and Print newspapers (2%). Compare this with the news consumption on social media of these demographics 30-49-year-olds (22%), 50-64-year-olds (14%) and 65+ (8%). For PR practitioners this is important to consider in 2019 as the media that matters to a brand and ultimately their target market is largely driven by the generation their prospects fall within. 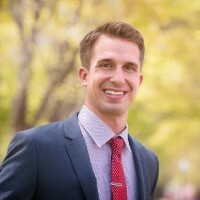 Erik Olson is an award Winning Digital Marketer. Founder & CEO of Array Digital – a digital marketing agency focused on advertising, SEO, social media, and websites. “First, the heavy use of short videos will be commonplace and begin to edge out text-only posts. Video is easier to consume and is more effective at communicating within social media. “Second, video shot in portrait mode (tall) will become more prevalent than video shot in landscape. As mobile viewership continues to dominate over desktops and laptops, video will continue to transform for the devices that the majority of people use the majority of the time. As an account coordinator for SJC Marketing, Randi writes social media content; collaborate on social media marketing strategies, campaigns and visual media plans; conduct keyword research; and create graphics for distribution on social media platforms. 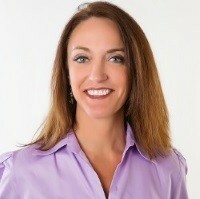 Additionally, she provides SEO and editing expertise to the team’s efforts as needed. “Stories — the tool and the experiences: Self-made Instagram influencers (a.k.a. Instabloggers) are pros at using the Instagram Stories tool to foster emotional connections with their followers. Part of their success comes from the willingness to be authentic with their audience and share real-life stories full of life’s daily challenges and successes. “In order to compete for and win consumers’ attention, businesses need to get real and start sharing customers’ experiences in a story format, rather than a sales pitch. Brands will need to increase and perfect their use of the Instagram Stories tool as a part of this strategy. “‘Influencers’ takes on new meaning: Consumers’ sudden awareness of how much privacy they’ve sacrificed, combined with some missteps on the part of social media platforms, has created distrust in social users’ minds. As a result, they’re leaning even more heavily on recommendations from friends and family. Brands will need to build strategies around the idea that friends and family are the new influencers. 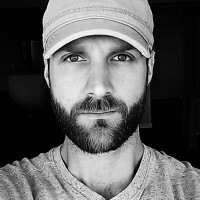 John Huntinghouse is the Director of Digital Marketing at Epic Marketing. John has over 10 years of digital marketing experience and has been featured in Forbes, Buzzfeed and numerous online publications for his work in that space. “Brands telling a cohesive story about their company/employees/products across all of their digital platforms. We all know the power of storytelling but even the brands that do this the best are disjointed when it comes to telling a cohesive story across all of their digital marketing efforts. You’re going to start seeing more and more brands that create platform-specific story lines that weave across platforms to create an overall story arc that takes social engagement to the next level. “The increase use of VAs running personal brands and interacting with their followers as the personality themselves. While this trend is not public-facing (most of the public isn’t aware of this), it’s definitely a trend that has started in 2018 that I expect will blow up in 2019. We all know that you need to increase engagement with your followers, but personal brands have taken it to the next level. They are hiring out VAs to learn their voice and tone and to mimic them as they respond to hundreds of comments and threads on Instagram, LinkedIn and Facebook. I would expect that at some point in 2019 you are going to have a story that comes out of a VA who said something offensive and the personal brand blaming the VA for the controversy. 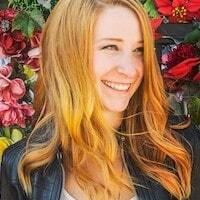 Liz Coffman is head of content marketing at Riotly Social Media. She’s dedicated to creating resourceful and innovative content as a way of connecting people to the world around them. Her work is focused around constant personal evolution, increasing her knowledge base and sharing that expertise with others. “In the last few years, consumer trust of mainstream institutions around the globe has been rapidly plummeting. For the first time in history, consumers trust their peers just as much as technical experts and more than CEOs, governments or academics. “What does this mean for the future of social media in 2019? According to Edelman’s annual global study of consumer confidence, 39% of surveyed users reported using social media networks as their source of news. With trust in mainstream institutions declining, micro-influencers, customers advocates and employees have never been more relevant. 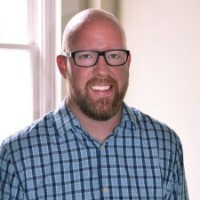 Kris Hughes is with Austin-based project management software company, ProjectManager.com, where he leads their social media and content initiatives. In previous roles with digital publishers Wide Open Media Group and Rant Media Network, he led large teams of social media managers and content creators, while also maintaining his own individual contributor responsibilities along both lines. “1. Social Listening – Brands are more concerned than ever about how they are being portrayed via social media, and how this reputation crosses over to the general reputation of their brand. To protect against reputation damage, brands are turning to social listening software to help them actively identify potential issues and put out those fires one by one as necessary to ensure the general feeling about the brand among target consumers is positive, and the damage of any negative interactions/reviews etc. is actively minimized. “2. Micro-Influencers – The ‘influencer industry’ has been under increasing scrutiny in recent years as ROI for brands using influencers with large followings has been shaky at best, and questions are being asked about what really constitutes an influencer, and if using them even makes sense anymore in the new business landscape. Given this, micro-influencers (individuals with strong branding, but following counts less than 10K on major platforms) are starting to be used more often by companies. There’s more of a personal touch here, when the following count is lighter, and the micro-influencer is working to build a business, than there is with a traditional influencer with millions of fans who is purely a mouthpiece for whichever brand can bid the highest, and brands are being attracted to this. 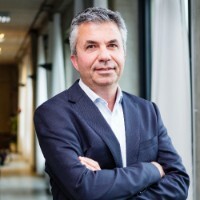 Yuval Ben-Itzhak is the CEO of Socialbakers. Yuval brings over 20 years of business and technology experience. He is a frequent commentator in the media, speaking on topics such as the future of mobile, security, privacy, consumer dynamics, and disruptive innovation. 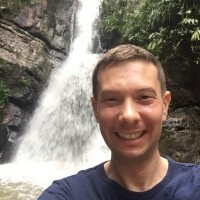 Prior to joining Socialbakers in 2017, he served as CTO at Outbrain, before Outbrain he was CTO at AVG Technologies for 5 years where he was instrumental in taking the company public in 2012. 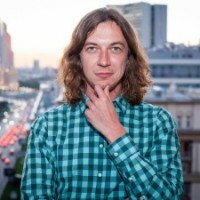 He was the CTO of Finjan, and in 2000 founded the web application security pioneer, Kavado. “When comparing ad spend distribution by social media platform from 2017 to 2018 between the two main Facebook-owned services, Instagram ads increased in 2018, while the percentage of overall ad spend on Facebook decreased. Overall, brands are shifting their investments between the services. “Photos are the most heavily promoted type of content compared to any other format. However, video promotion soared in 2018 and converged with photos in September, indicating that the popularity of this type of medium is on the rise. “In 2018, Instagram ad campaigns rose, reaching their highest adoption rate in June. Though it has tapered off, as Instagram audiences continue to grow, so will marketers’ advertising investments. “Facebook usage on mobile is overwhelmingly dominant, as mobile users consume more ads than desktop users. “While the report examined multiple social media platforms, it found that marketers looking to drive value for their businesses via digital marketing can find more value in terms of scale and audience engagement from Facebook and its family of applications than they can from competing platforms. With 2.6 billion monthly active users, Facebook’s family of applications is still where most consumer-to-brand engagement happens online. “However, in terms of engagement per user, Instagram reigns supreme. Socialbakers’ data found that while Instagram has a smaller total audience compared to Facebook, Instagram users are far more engaged than Facebook users. Instagram is becoming increasingly powerful as a platform for capturing quality engagement within small, targeted communities. “Instagram is becoming the number one social media platform when it comes to engagement for brands. When we look at engagement on an absolute level, Instagram has a lot more engagement for brands than Facebook does, despite having a significantly smaller audience size. As a result, we see businesses leveraging Instagram for advertising more than ever before. “According to Kleiner Perkins, an average user spends over three hours per day consuming digital media on mobile – a growth of nearly four times over just the past five years. Mobile ads present a huge opportunity for marketers, but they need to utilize mobile-friendly content formats. “The key with mobile content is to focus on understanding each of the personas in your audience and tailor mobile-first content at scale. Brands should leverage digital platforms to identify the personas and learn what content sparks a conversation with each of them. That content will then drive engagement and achieve their marketing performance goals. “Influencer marketing is projected to become a $10 billion market by 2020. It has become an important marketing tool for many brands across industries around the world. With so much money on the table, it’s not a surprise to find fraud in the influencer marketing space. The first challenge involves identifying real versus fake accounts. Right now, a bulletproof strategy does not exist. However, Socialbakers has been able to identify three types of fraudulent activity within influencer marketing: fake followers, fake engagement and fake interests. The research showed that brands can minimize the risk of working with fraudulent influencers by looking at two key data points: the influencer’s performance over an extended time period, and their engagement level per 1,000 fans. In addition, benchmarking the performance of a few influencers over time can help to identify anomalies resulting from fraud. “For the foreseeable future, data will form the foundation for any successful campaign, empowering companies to communicate effectively with customers, make strategic changes quickly, and ultimately build strong brands. 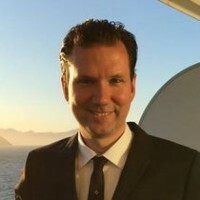 Alexander Sirach, co-founder and CMO at YouScan, is an experienced Chief Officer with a demonstrated history of working in the internet industry. Alexander is a strong business development professional skilled in Marketing Management, Digital Strategy and Sales. “Recent massive investments in AI should significantly change the social media landscape during the next few years. As a Social Listening vendor, we can share clients’ demand and plans. AI-powered Image Recognition technology, introduced by major SML vendors, including ourselves, is already being used by some brands which are early adopters and innovators and is ready for global demand. This technology brings a whole new level of marketing insights to consumer brands and agencies. It helps them to understand better their consumers’ tastes – even though the brand is not mentioned explicitly in their social media posts. It is an excellent way for marketers and social media specialists to learn more about product consumption situations, and uncover valuable consumer insights. If you’re planning on expanding your social media reach this year by experimenting with the hottest platforms like Instagram, Quora, and WhatsApp, you’re going to want to get started on the right foot. And that means growing your audience quickly by installing our easy to use share buttons and follow buttons. They only take minutes to install, so you can start growing your social media presence today!